If you’re looking for a reward system for a school or educational institution, then our whole school reward system is perfect. 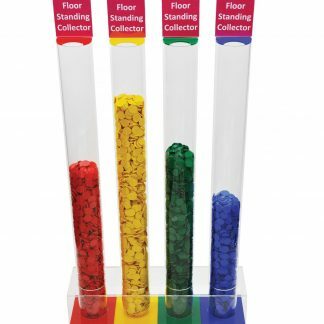 These large collection tubes are a fantastic way to create an interactive system for all students. Whether it’s voting for a school house representative, creating a colourful poll for the choice of head boy and girl, or to promote student feedback in a school area such as the reception or an assembly hall, the whole school reward system tubes and token combination is exactly what you’re looking for.